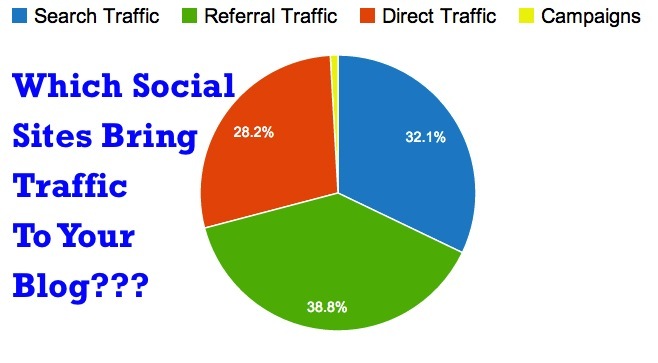 Which Social Sites Bring Traffic to Your Blog? If you are a blogger, you get excited when you get see traffic coming to your website. Where traffic comes from is different for every blog. Some blogs get a lot of traffic from Google search results. Others get most of their traffic from social sharing. I have 2 very different blogs. 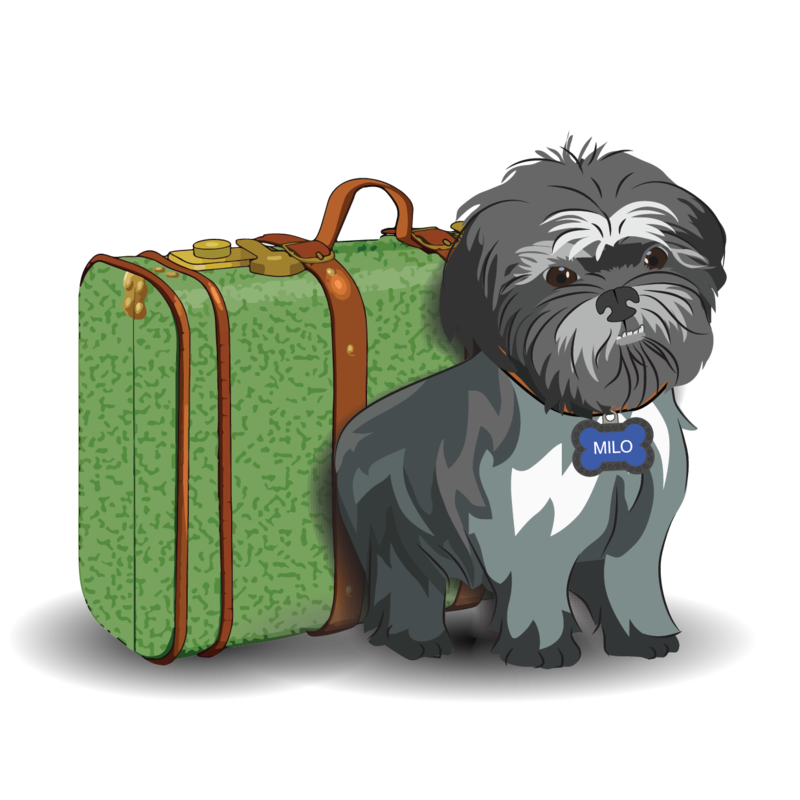 This blog, Future Expat, covers a little bit of everything. Along with tech posts like this one, I post recipes, home improvement tips, travel experiences, dog stories and more. 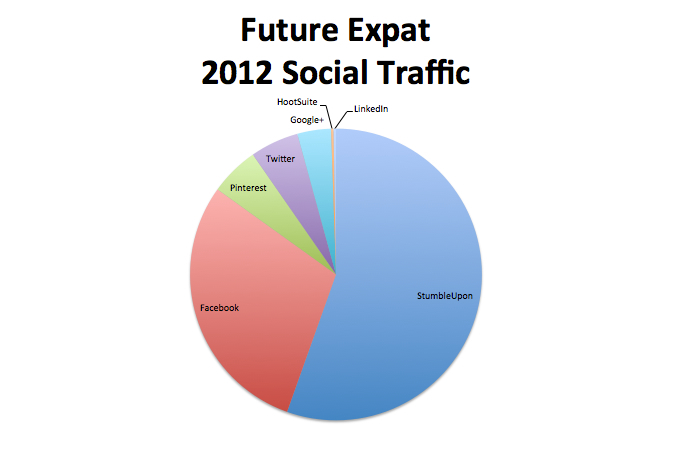 Most of the traffic on Future Expat comes from social sharing sites like Pinterest and Facebook. I recently changed the email updates from a Feedburner email subscription to daily or weekly updates via Mailchimp, and any traffic that comes from these sources is classified a campaign. Direct traffic comes from people who bookmarked a page and came back later or simply pasted the URL into a search bar rather than clicking a link. I get a lot of that traffic too. 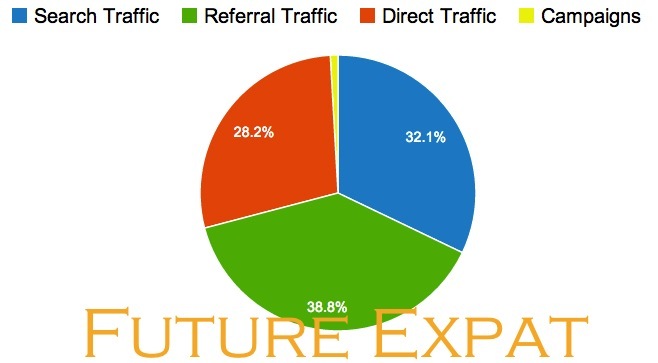 Future Expat’s search traffic for 2013 is also up. But as you can see, social sharing brings the most traffic to this site and probably also results in some of the direct traffic too. 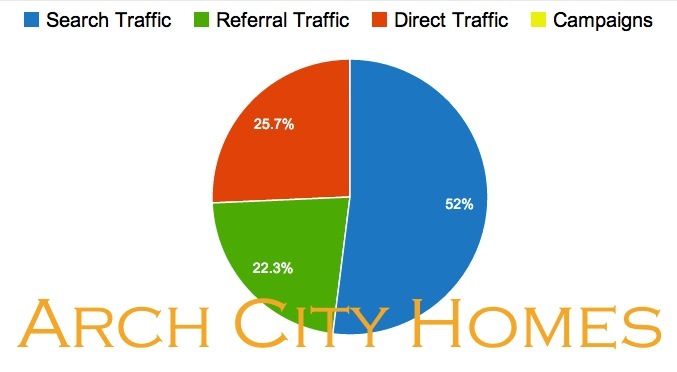 In comparison, Arch City Homes, my St. Louis real estate website, gets most of its traffic from Google searches. I’ve been writing Arch City Homes since 2007, so I get a lot of long tail searches. My biggest traffic comes from people searching for information about St. Louis schools, crime and free summer concerts. I haven’t yet switched over the Feedburner email subscription for Arch City Homes yet, so you don’t see any campaign traffic. After reading an article about how to find the source of a viral pin on Pinterest, I spent some time looking at my Google Analytics information for both of my websites. I noticed that the social traffic to my 2 websites came from very different sources. And the traffic patterns have changed over the last few years. 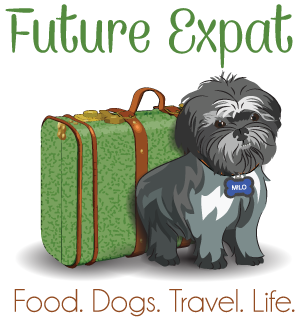 Future Expat is a lifestyle blog. Iin the last year, the traffic it is getting from Pinterest has surpassed the other sources of traffic. 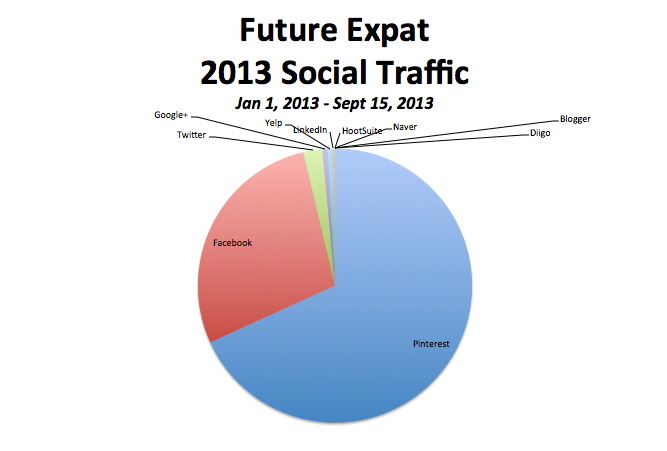 In contrast, Future Expat received traffic from just 7 social sites in 2012. Pinterest was only #3 in 2012 and only brought in 5% of the social traffic. 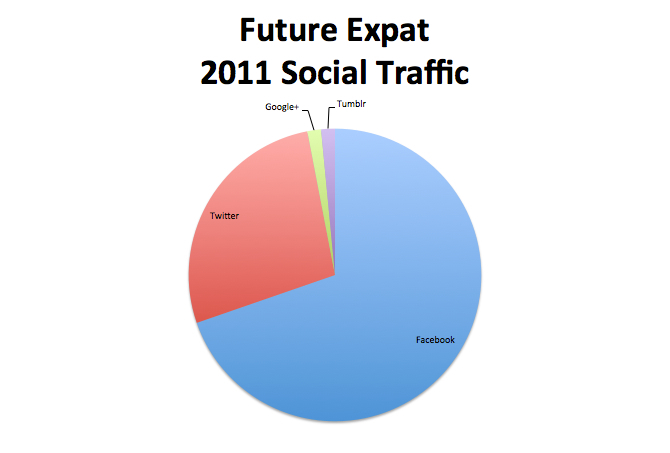 Future Expat received dramatically less social traffic in 2011. Pinterest was still in private beta until 2012, so it didn’t have an impact on traffic yet. Granted, some of the changes came from my installing the Hupso Share wordpress plugin and the Pin It buttons on my images about a year ago. I’m also now sharing every post on Pinterest, Facebook, Twitter, Google+ and LinkedIn. But a lot of the changes have to do with changing trends with users and which social sites they are using. I’ve been sharing my Arch City Homes articles on Pinterest just as much as I’m sharing the Future Expat articles, but they don’t get repinned nearly as often. I’m also not getting as many pins from visitors to my site on Arch City Homes. Pinterest is on the list, but only brought in less than 5% of the social traffic. 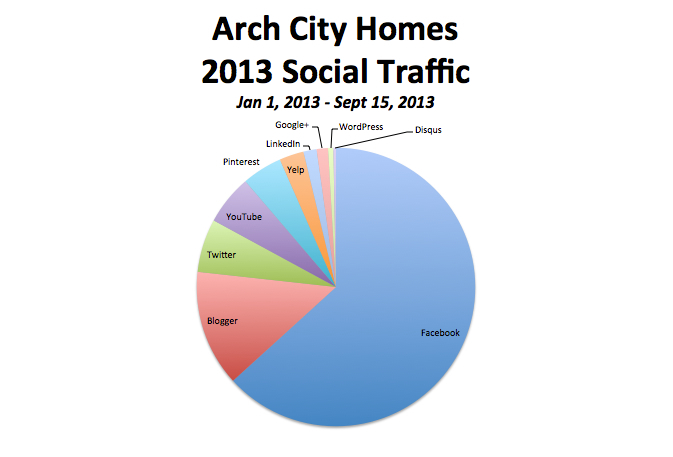 Facebook is still the major driving force for social traffic to Arch City Homes. One of the reasons for this is because I’m connected to a lot people from my city on Facebook, so the content will naturally interest them more than on other social sites where connections are more likely to be from all over the world. That said, I have a large local following on Twitter too and there was a time that I got a lot of traffic from links posted to Twitter. Not anymore. In 2012, Twitter brought in twice as much traffic to Arch City Homes as it did this year even though my engagement is up on Twitter this year. 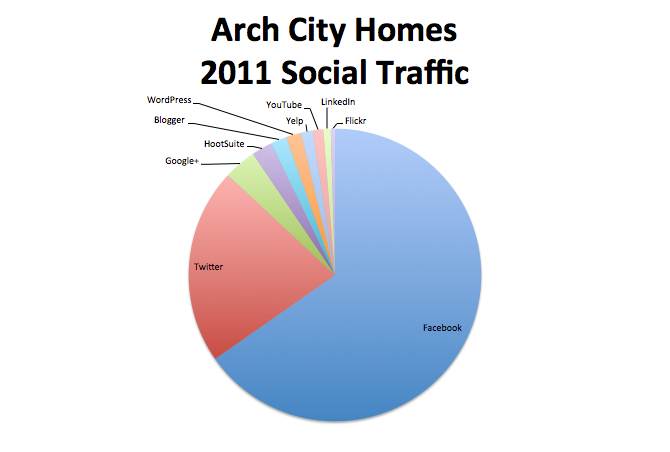 In 2011, the Arch City Homes traffic was almost completely coming from Facebook and Twitter, with the new Google+ network coming in a distant 3rd. Google+ clearly isn’t a source of much traffic, but since Google+ is owned by the largest search engine on the internet, it’s a mistake to not post your content there since Google+ will likely be factored into search results at some point in the future. As you can see, every website is different and where the traffic to a given site comes from will change over time. 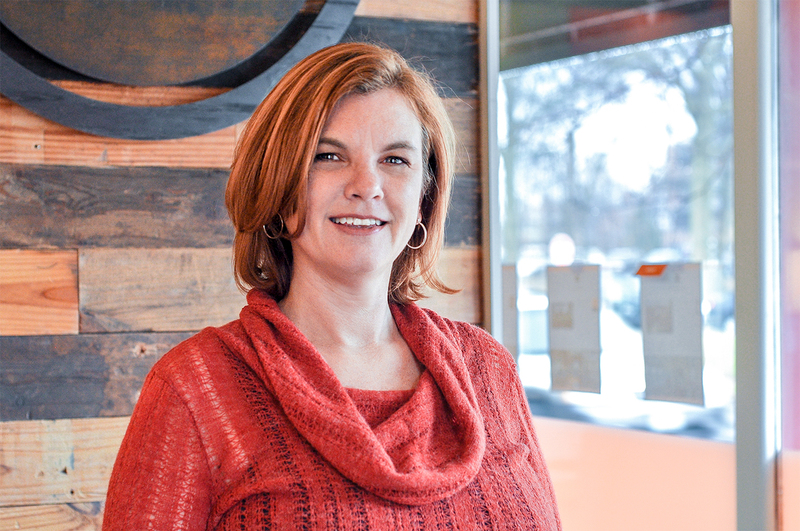 A single popular share on StumbleUpon or on a Blogger article can skew the affects for that year. But understanding which social networks get you the most results can help you use your time wisely. If you have more than one website, choose a website. After you are done looking at this information, go back to #3 and repeat for the last 2 years so you can see how your traffic sources have changed. Did you get similar results to me? Share with us in the comments below the subject of your website and where your major traffic is coming from? Has it changed over time? Why do you think you get so much traffic from that social site and not others? Thanks so much for linking to my article! The first place regarding social traffic my blog gets, goes to pinterest which is quite expected – mine being a crochet and craft blog in general, the second is facebook -and the third place is reserved for google.